Inspiring Minds Together! Inspiring Minds Together! Inspiring Minds Together! Inspiring Minds Together! Edgewood uses the Blackboard system as our primary communication tool for notifying our parents, students and staff about upcoming events, activities, student attendance, as well as crisis communications. These communications are issued as emails, text messages and/or phone calls, based on an individual's preference. As part of our safety and security strategy, we use the Blackboard system, in addition to our website (www.edgewoodschools.com) and our district's Facebook page (facebook.com/EdgewoodCitySchools), to issue crisis communication. Over the past several weeks, we have experienced a significant increase in our crisis communications. We want to ensure we are giving these types of communications top priority during the school day. 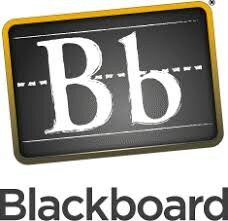 We've received feedback, however, there are so many different types of communications issued through our Blackboard system, at varying times of the day, that our crisis communications are being overlooked. All other approved communication requests (examples: fundraisers, sign-up dates for sports, etc) will be supported, but they will be held until 5pm for issuance. By putting this strategy in place, we are able to give greater attention to any time sensitive or crisis communications ensuring our parents, students, and staff don't miss any important information.